Trouble is sneaking around looking for its old friend opportunity. In a town called Chance, it’s certain they’ll meet up and unleash disaster. He finds trouble of a different type. 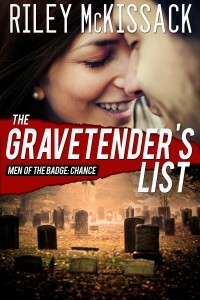 The passion that explodes between Travis and Andie is as unexpected as the secrets that are uncovered in The Gravetender’s List.